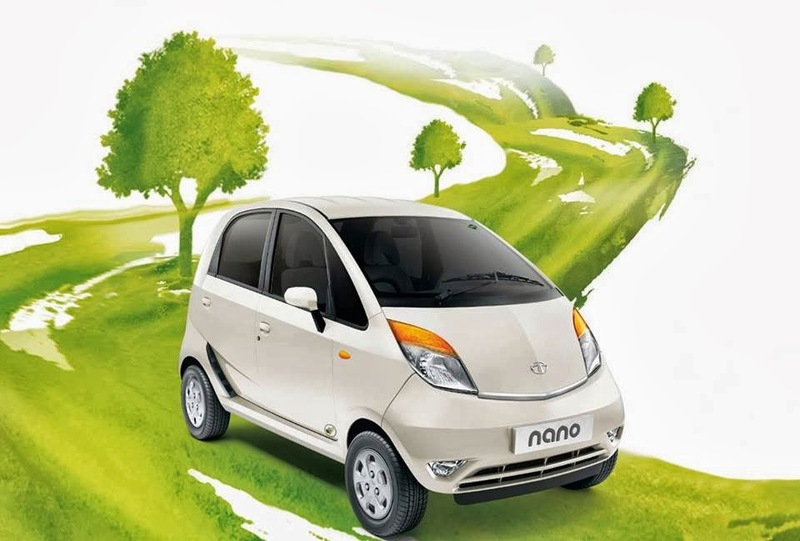 Tata Motors launched the Nano CNG variant in India - available in two variants, the car is priced at Rs 2.52 Lakh. Powered with an engine that fires CNG and petrol, it has the lowest CO2 emissions among petrol cars of 75.6 g/km and is India’s most fuel efficient IC-engined car with a fuel efficiency of 36 km/kg (as per ARAI certification). "From its inception, the Nano has been a path-breaking invention and the CNG version only adds to that and also underlines our commitment to be a sustainable automotive player"
The CNG tank (4-liter capacity) is installed under the driver seat, thus not intruding into the luggage compartment. The system offers a range of 150km on CNG, in addition to the 375km range on petrol. The 4 year/60,000 km warranty on the car covers the CNG kit. The Nano CNG is priced at 2.52 lakhs (ex-showroom Mumbai) for the CX model and 2.77 lakhs (ex-showroom Mumbai) for the LX model.